St. Patrick was born on the coast of Britain around 390 AD. He was born into a Christian family. His grandfather was a priest, and father was a deacon. At the age of 16, Patrick was kidnapped by Irish slave traders and transported to Ireland. He was sold into slavery. At the age of 21, Patrick was able to escape and return to Britain. While in Britain, he became a deacon and later, a priest. He stated that he received a vision from God to return to the land of his captivity and serve the Irish people. He did in the year 431 AD. 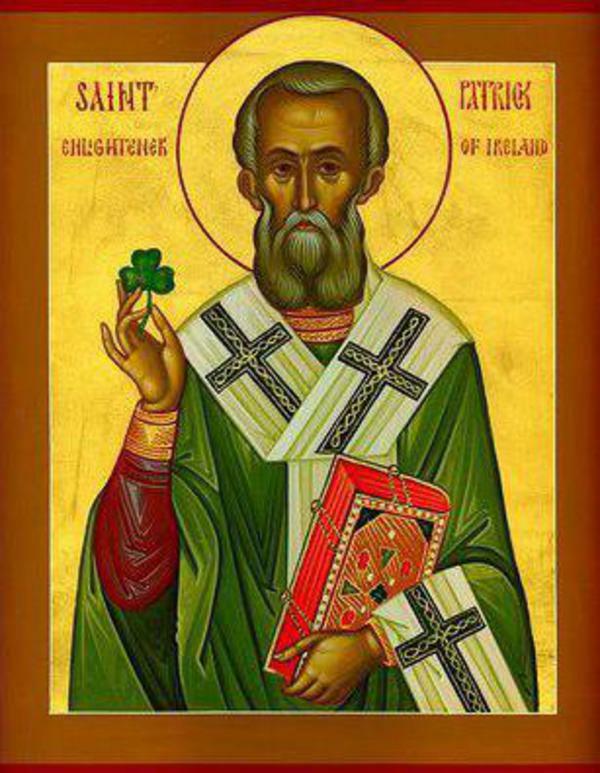 St. Patrick served as a missionary in Ireland, and ultimately became the 1st Bishop of Armagh, Primate of Ireland. He died on 17 MARCH 491 AD. It bothers me when someone such as St. Patrick has been reduced to the color green and shamrocks. It’s disappointing that the spirit of St. Patrick’s faith has been relegated to drunken madness on streets and college dorms of America. It’s sad that the day of this saint is summarized so simply. masses was a blessing. Being able to assist the Archbishop in distribution of the Eucharist was a humbling experience. Looking into the faces of children who desired a simple blessing was very inspiring and heart felt. Looking at the ministry of Saint Patrick and his service to the nation who enslaved him is amazing to say the least. He forgave them, and listened to God’s instructions to love his enemies, who ultimately became his family. We live in a society in which people hold on to petty grudges and try their hardest to “get even” with someone who wronged them. I venture to say that some of these same people could be seen on 17 MARCH wearing a green “Kiss Me, I’m Irish” t-shirt, while eating a green bagel, drinking a green beer and wishing passersby a “Happy Saint Patty Day”. It’s quite ironic. I am very happy to know that my ordination date is the day before the celebration of such a saint. The only issue is the saint being associated with beer and debauchery rather than love, forgiveness, and faithfulness.